*Pay by wire transfer to save on merchant fees. Call (302) 265-3677 for details. The absolute most efficient and simple method of shipping copper pennies around the country. 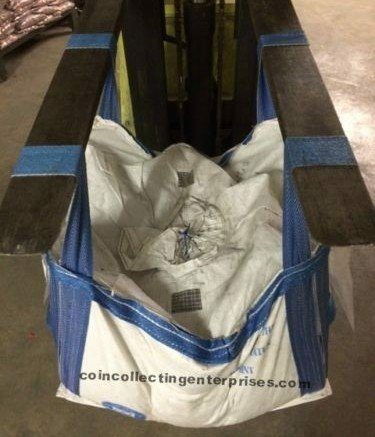 You’ll receive 1 ton of copper penny bullion delivered via freight truck in a US Mint ballistic bag. Crate shipments available upon special request. Once purchased, we will contact you to arrange a few details such as confirming a mutually agreeable delivery time, whether you’ll need a lift gate on your truck or if you have a loading dock readily available, as well as a few other details to ensure safe and secure delivery of your copper investment. Contact us for copper penny investing details on larger freight orders over 1 ton for better freight shipping pricing.